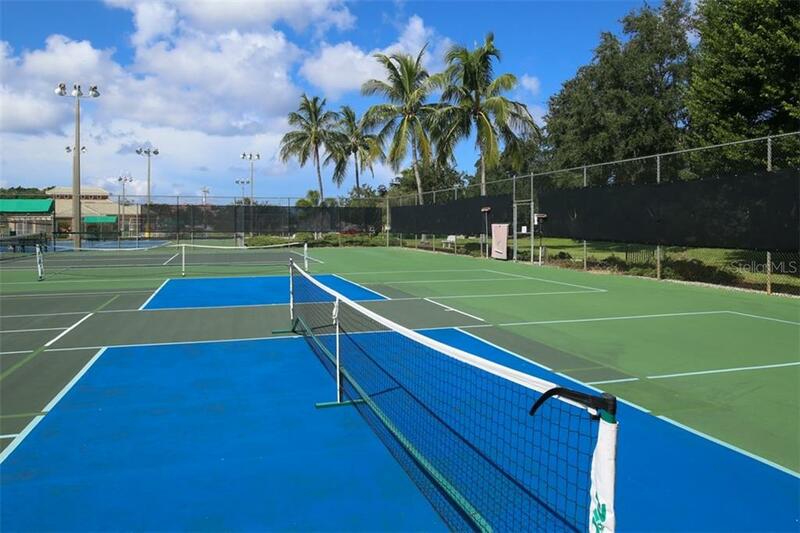 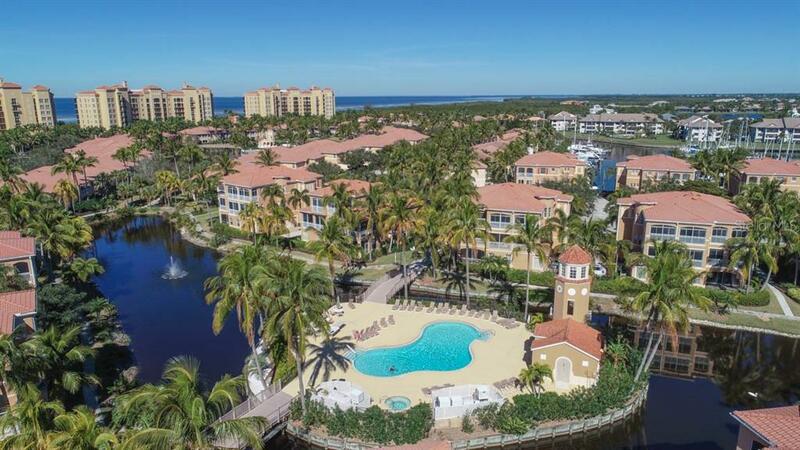 Ask a question about 3450 Sunset Key Cir #102, or schedule a tour. 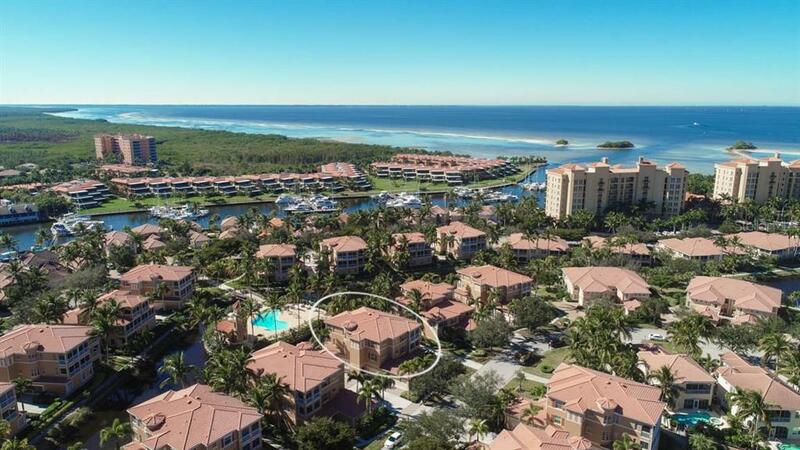 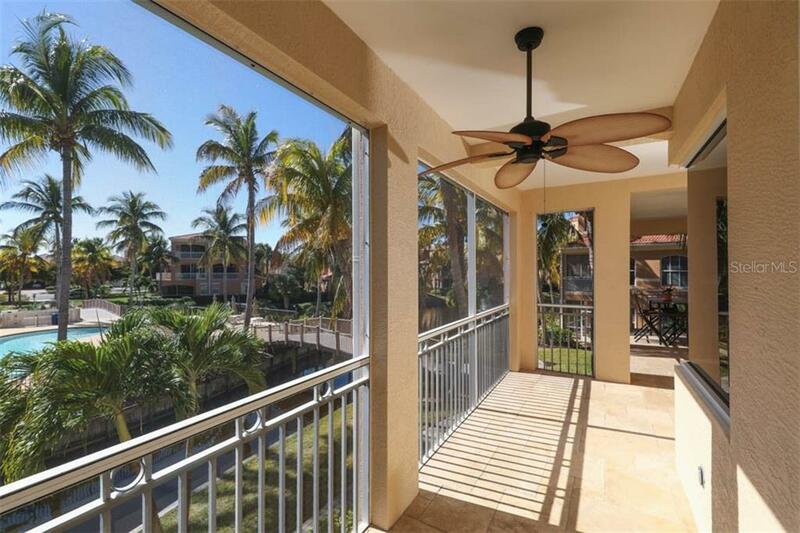 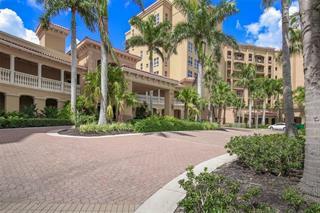 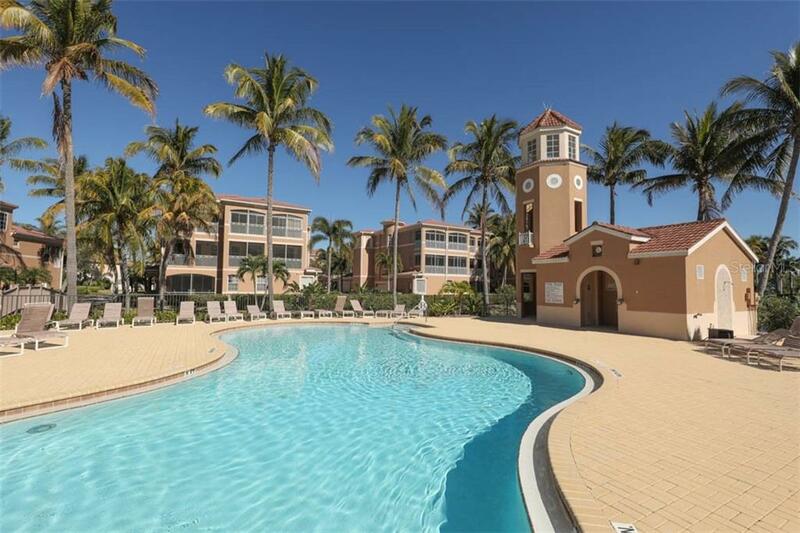 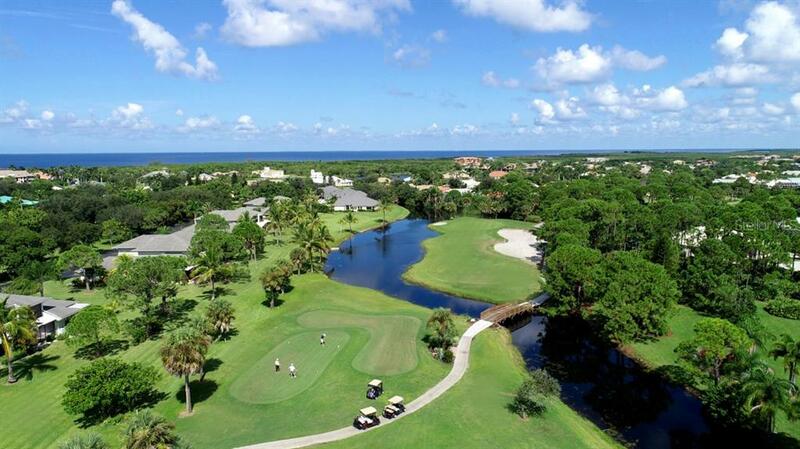 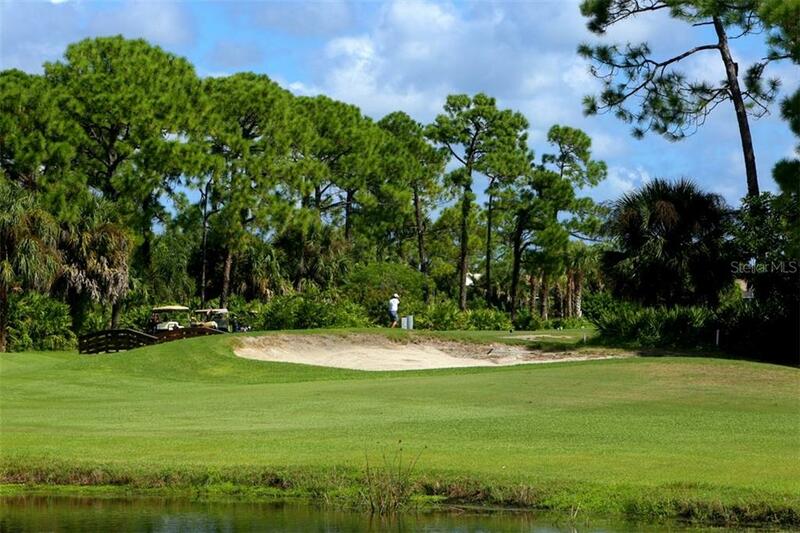 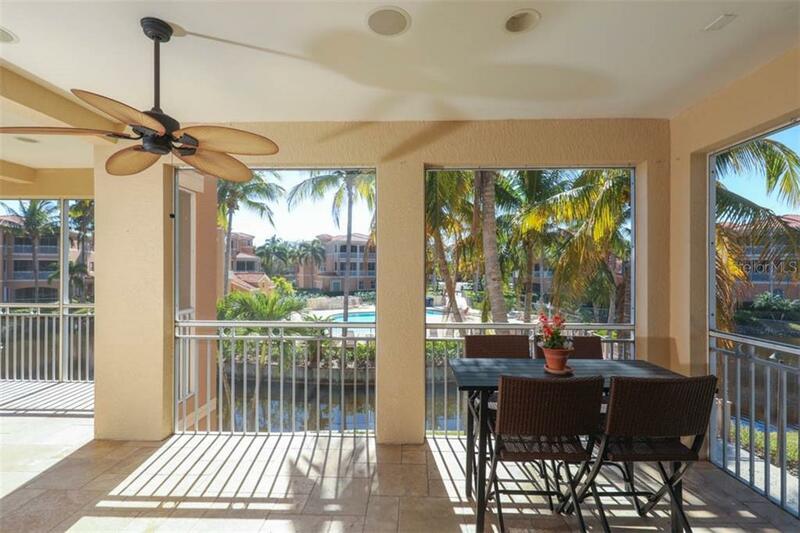 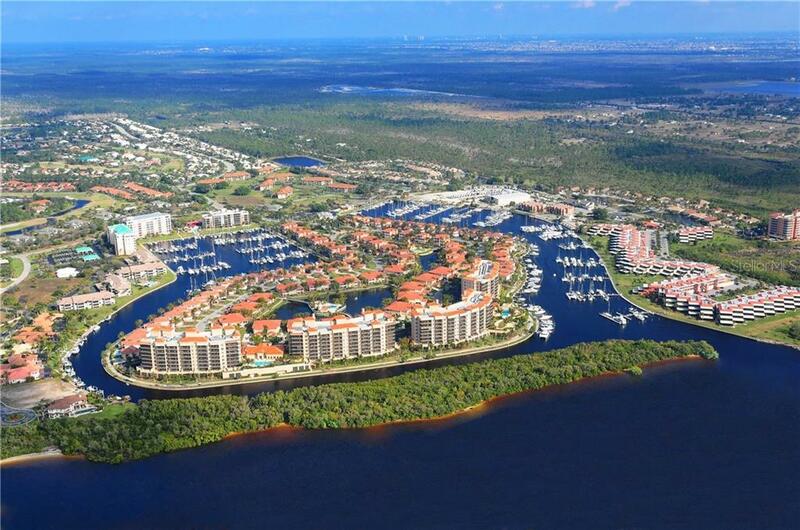 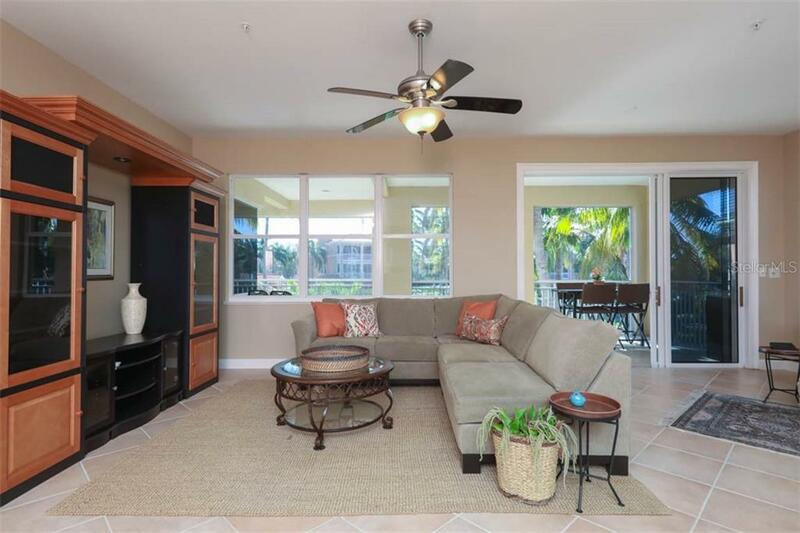 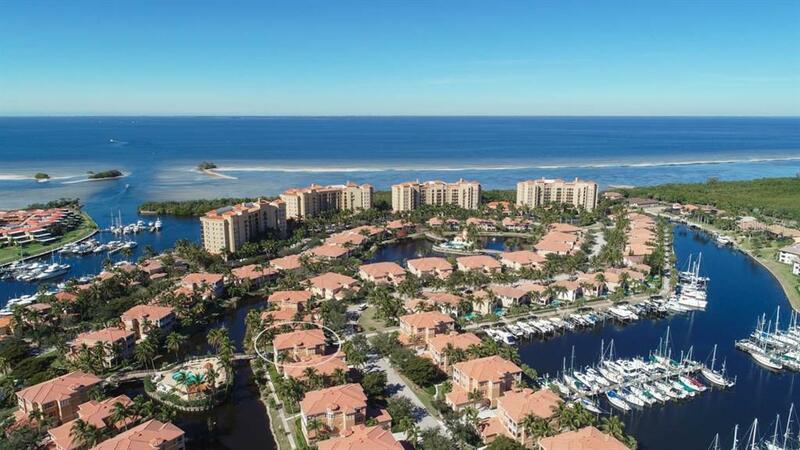 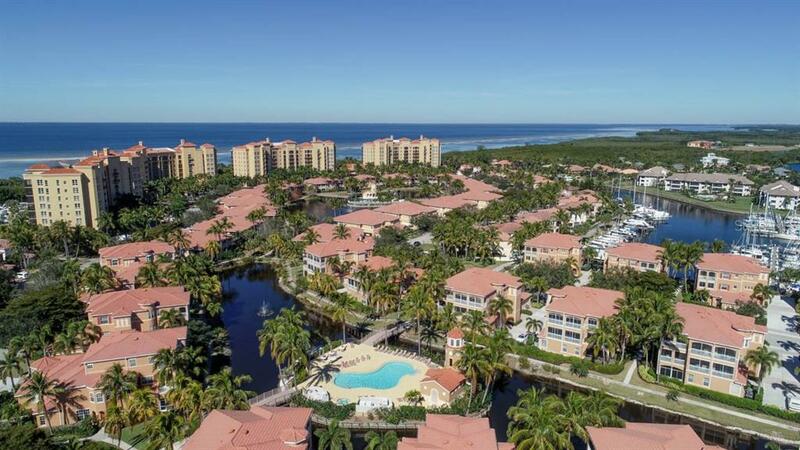 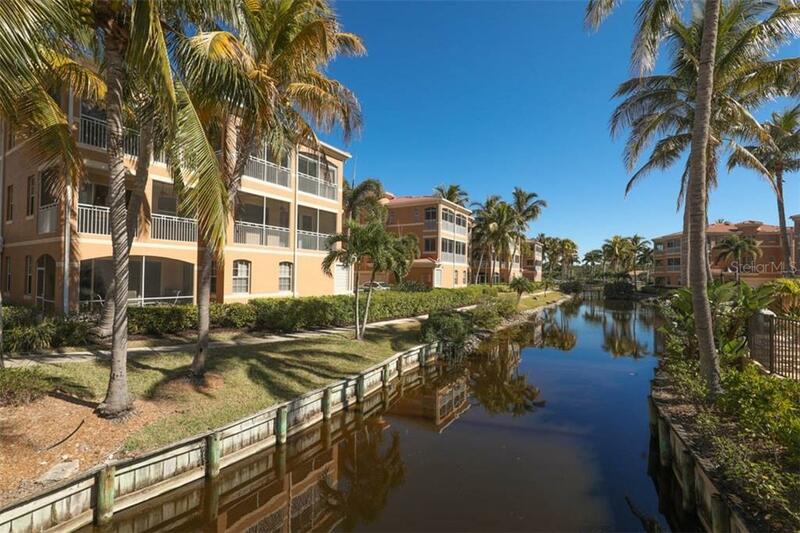 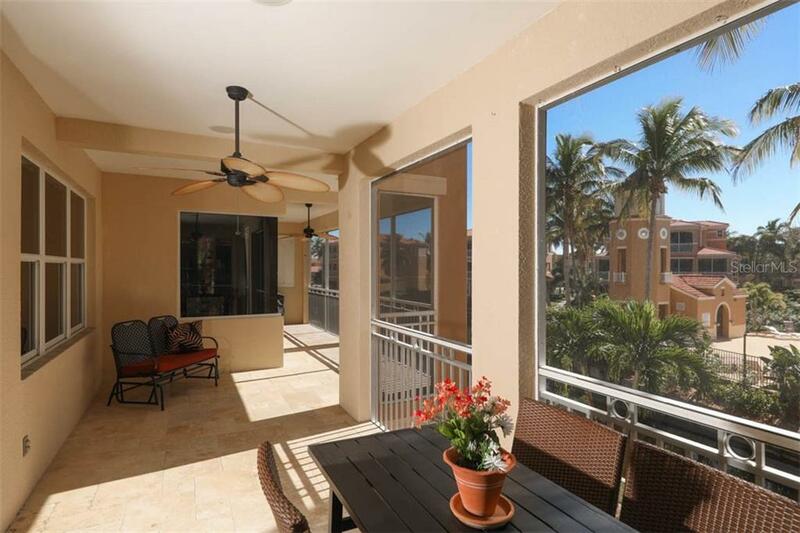 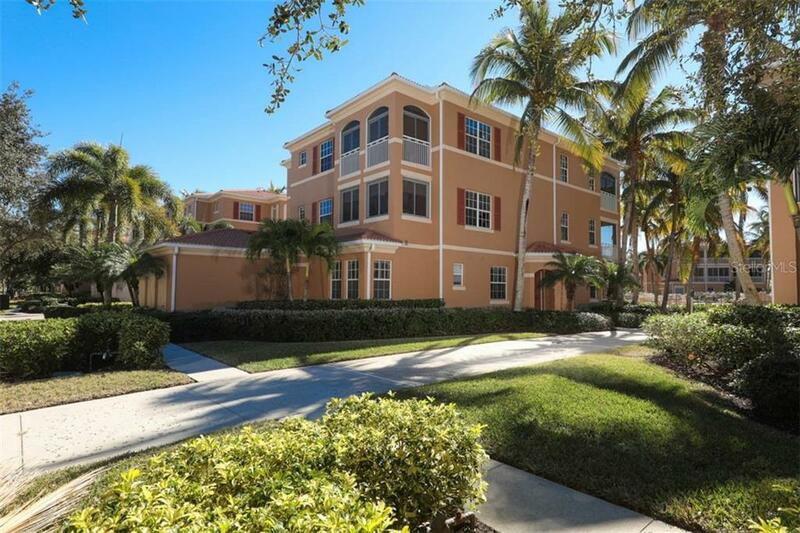 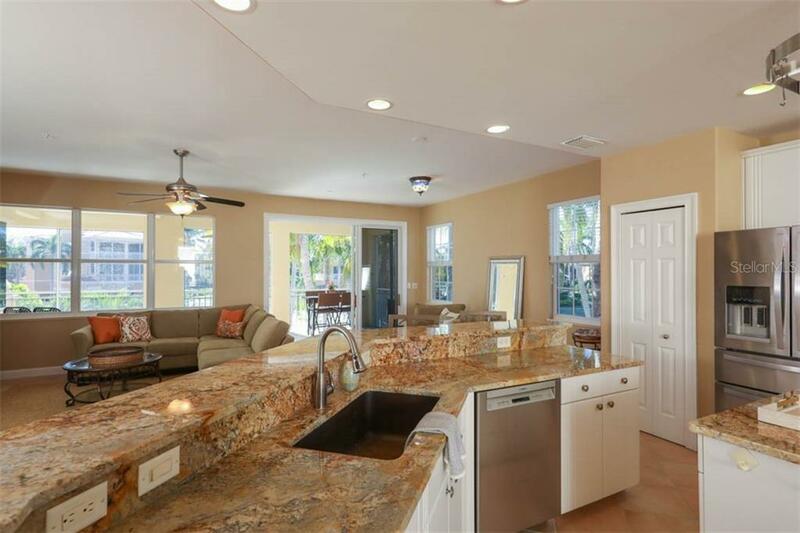 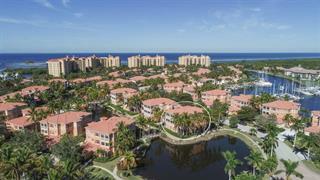 This is your chance to own a highly sought-after St. Vincent floorplan perched at the edge of the Sunset Key lagoon & overlooking the dazzling Emerald Isle pool. 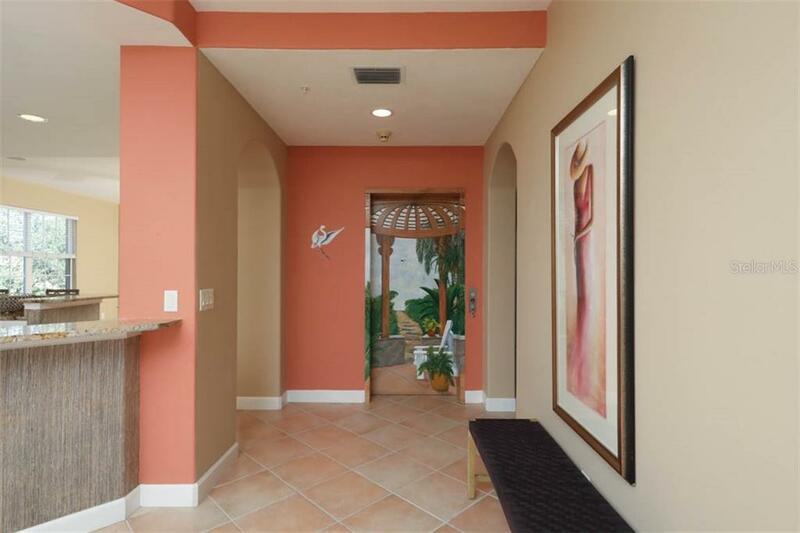 Enter through your private elevator, which features a captivating tropica... more.l mural, & invites you into the main living space. 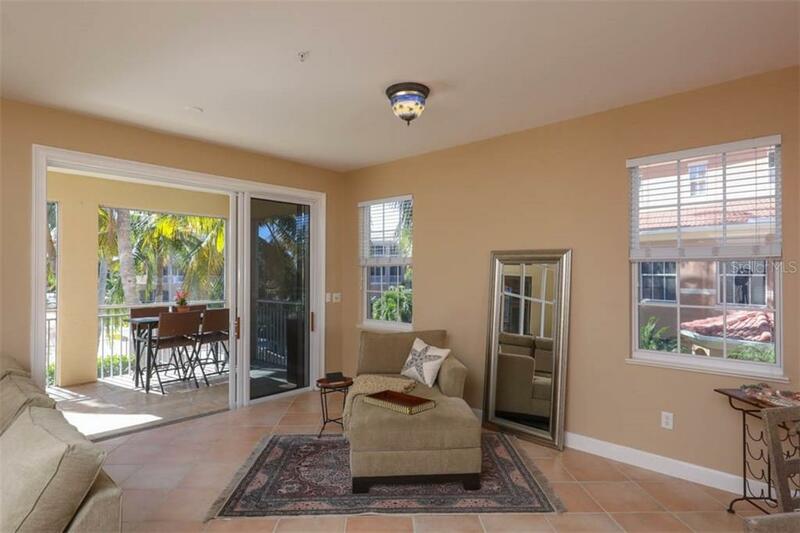 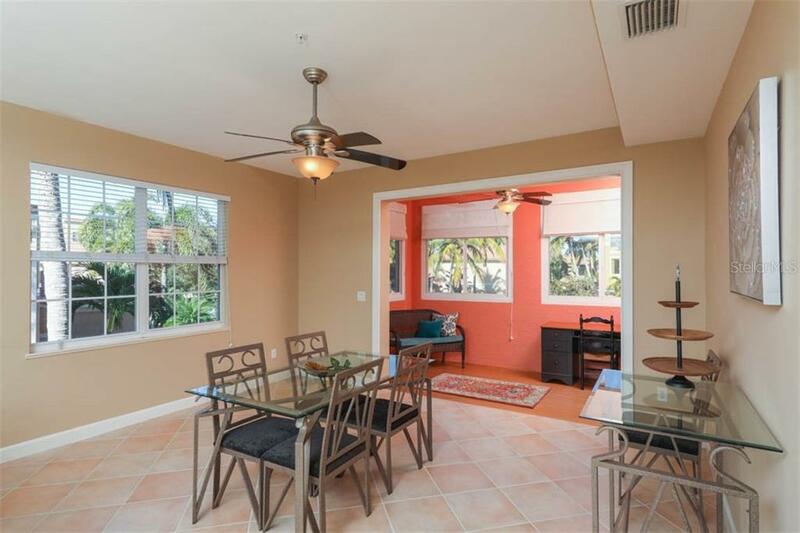 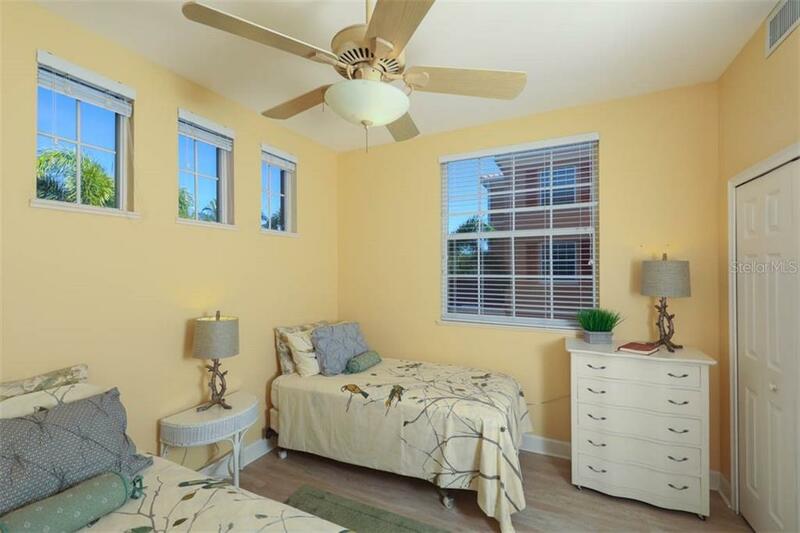 This bright & cheery condo features a flexible open floor plan surrounded by windows & doors on four sides! 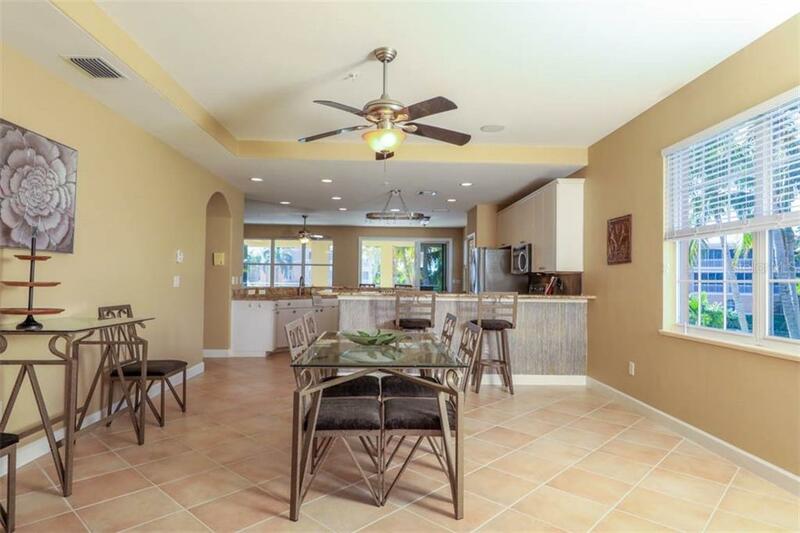 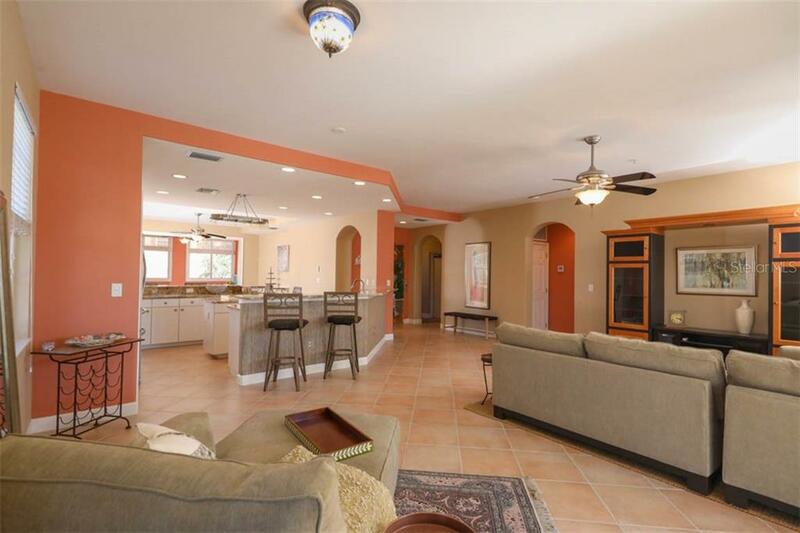 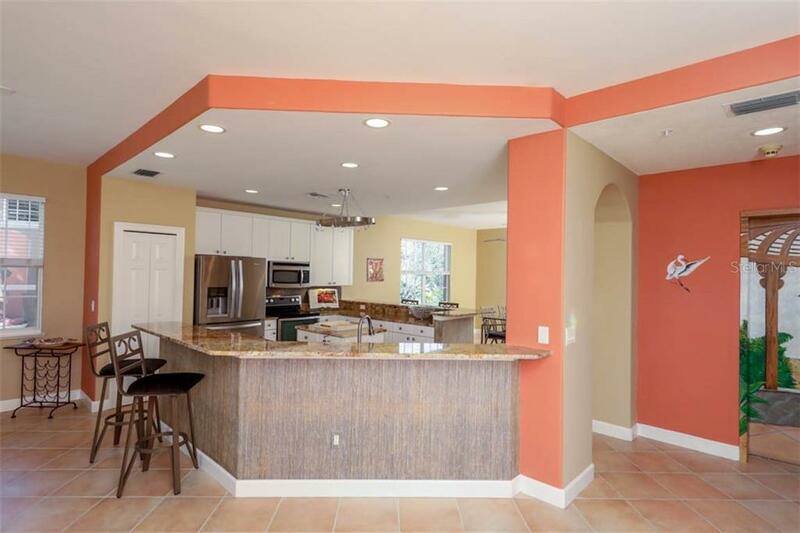 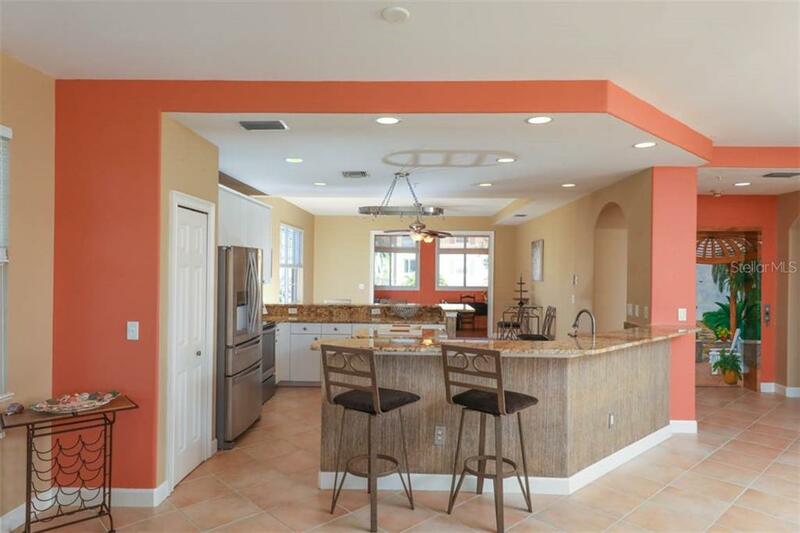 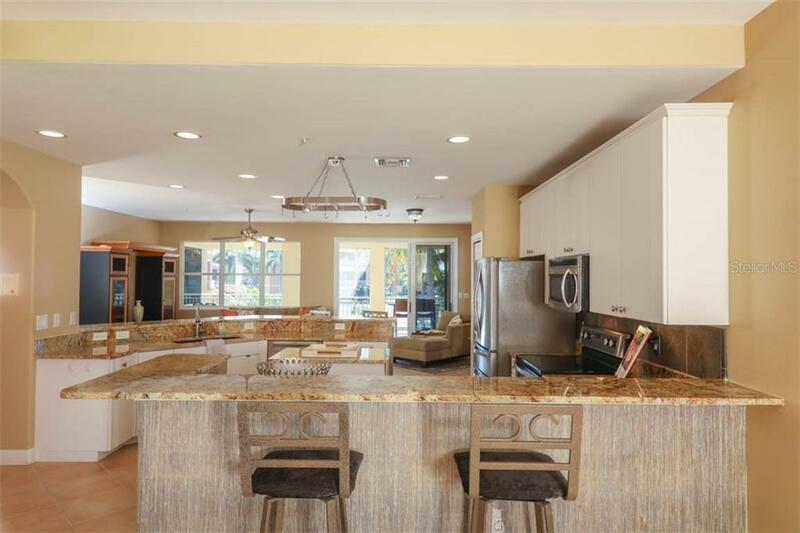 The kitchen is situated at the center of this residence flanked by bar seating on either side to easily entertain and stay connected to guests! 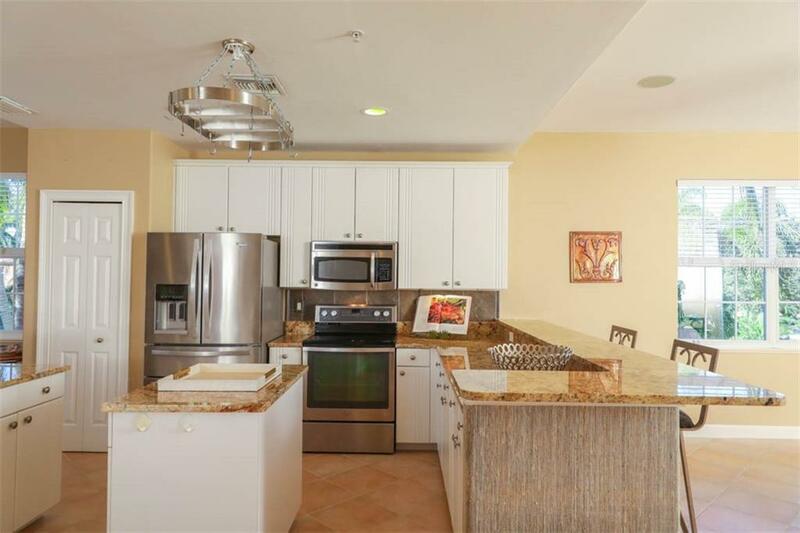 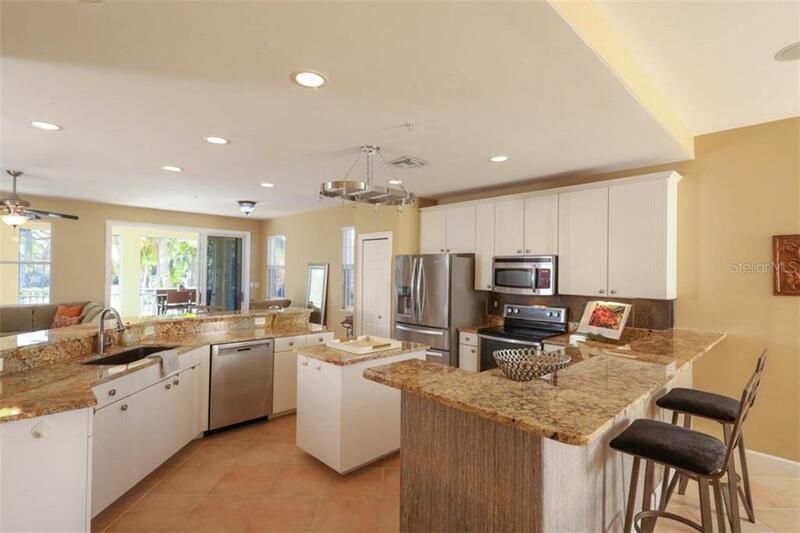 Updated appliances & vast granite counters, including a center island, make it easy to whip up your favorite meals. 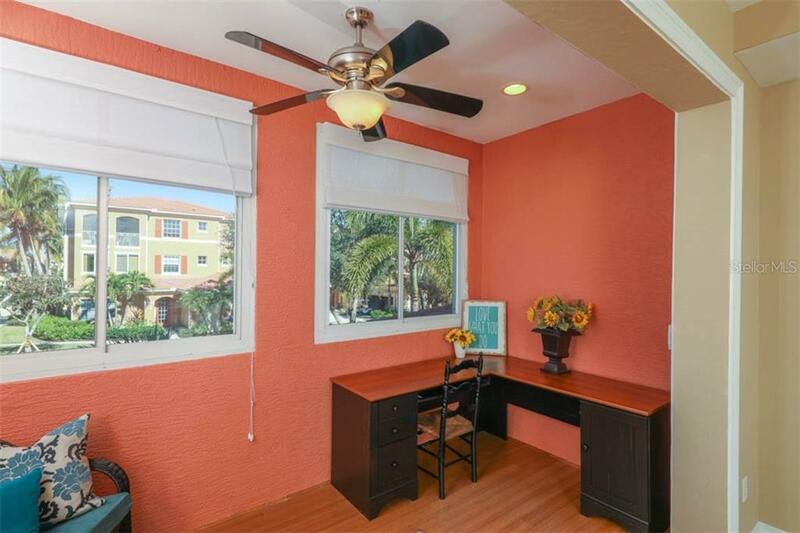 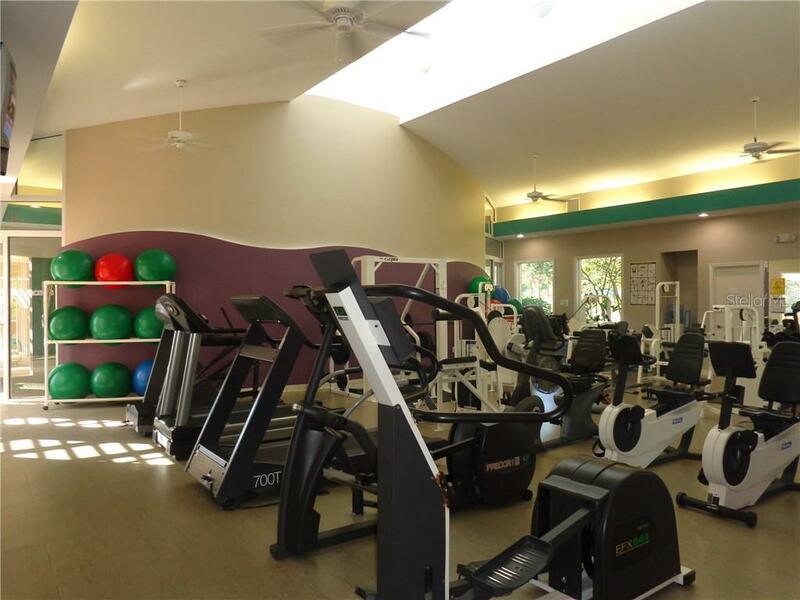 This versatile layout allows for many living options. 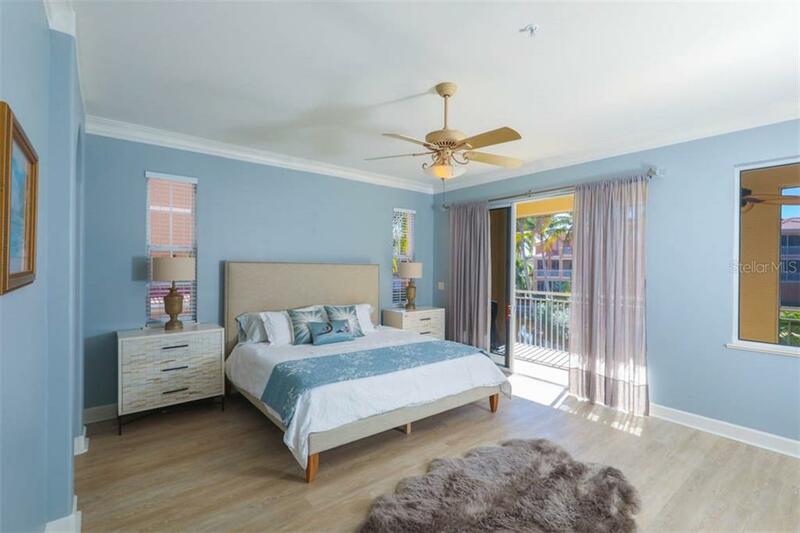 Warm diamond-set tile runs throughout the main living space and wood plank laminate adds a rustic, yet modern feel to the bedrooms. 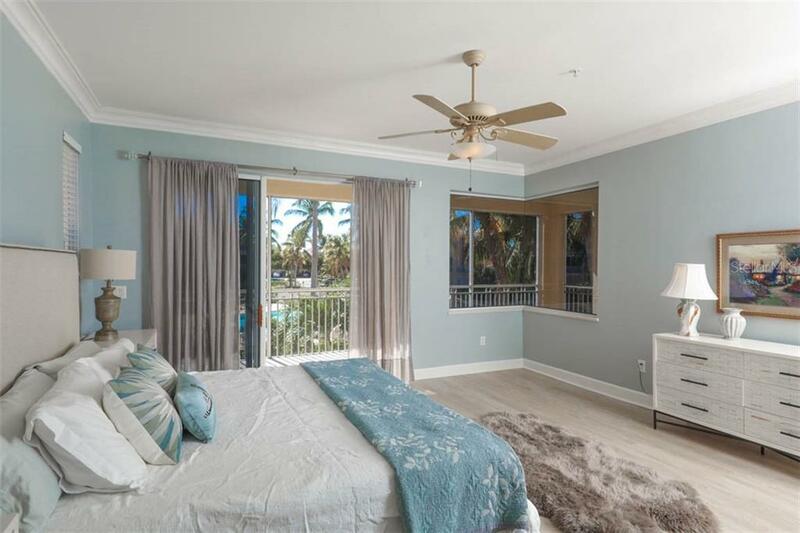 The master bedroom enjoys tranquil views through the sliding doors and aquarium window and is handsomely finished with crown molding and a spacious walk-in closet. 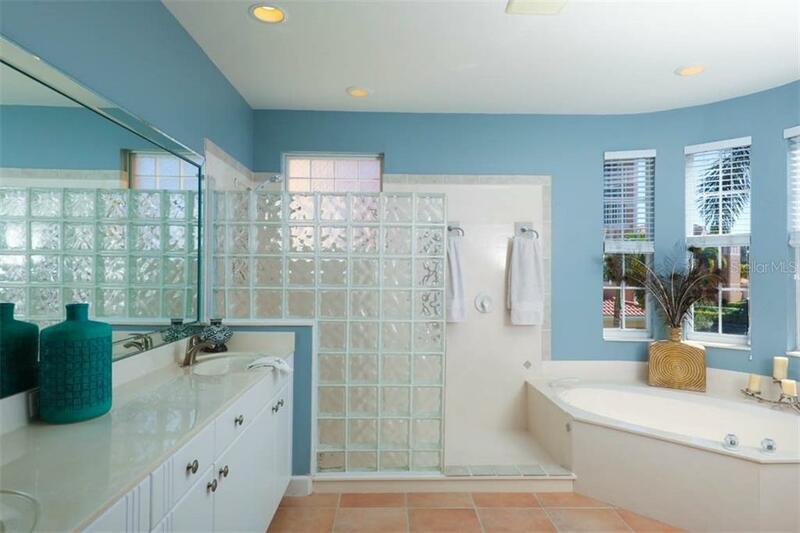 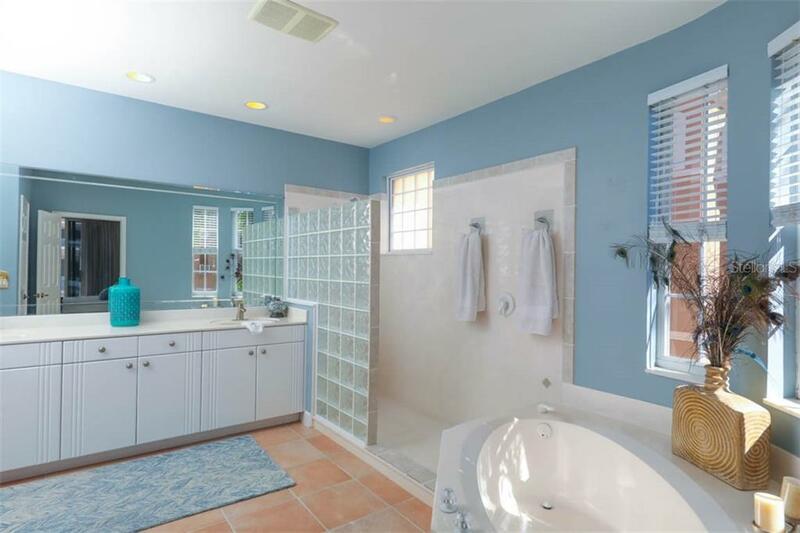 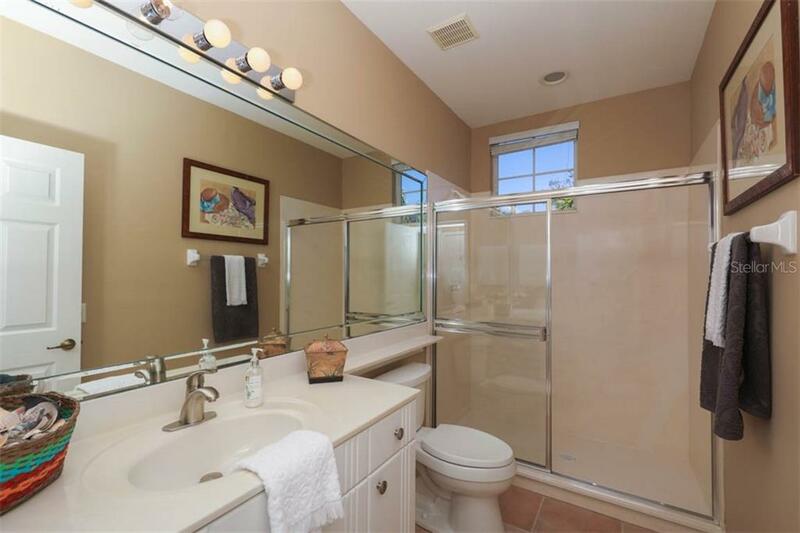 The master bath features a tiled walk-in shower, dual sinks, and garden bath overlooking the lagoon. 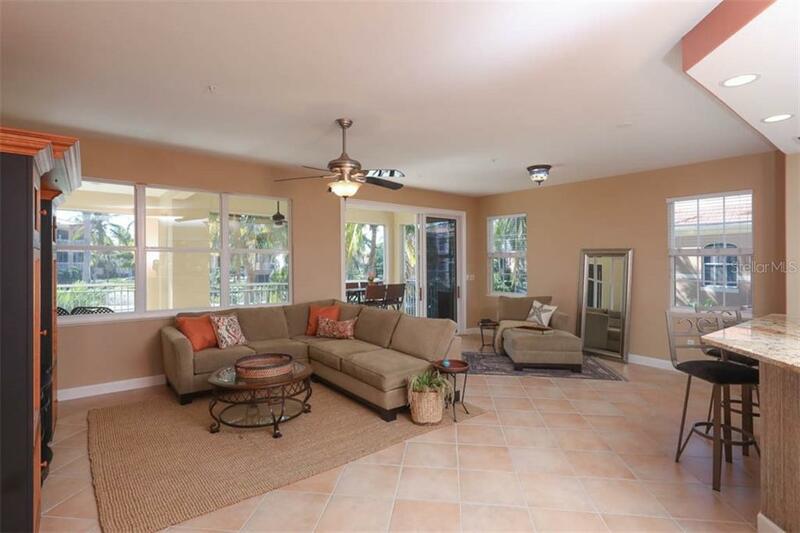 An expansive lanai, with new travertine floors, runs across the back of the residence and enjoys picturesque water and pool views. 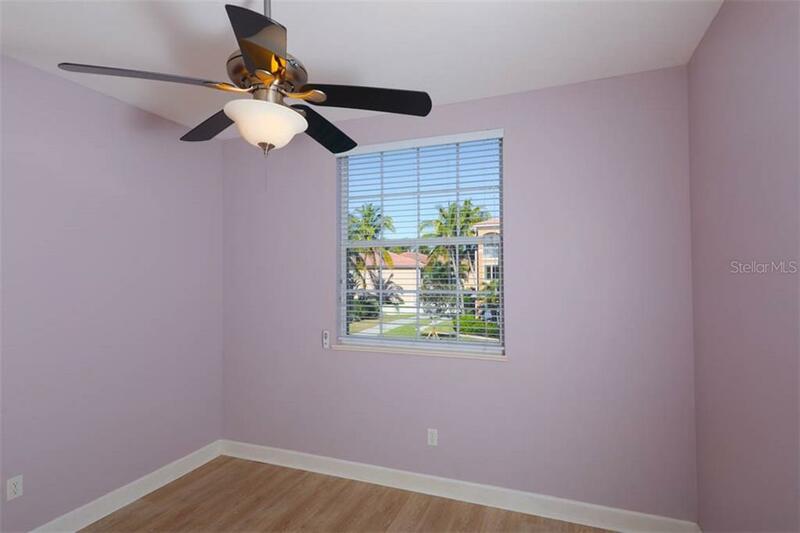 Recent updating includes a 1-year old A/C & hot water heater. 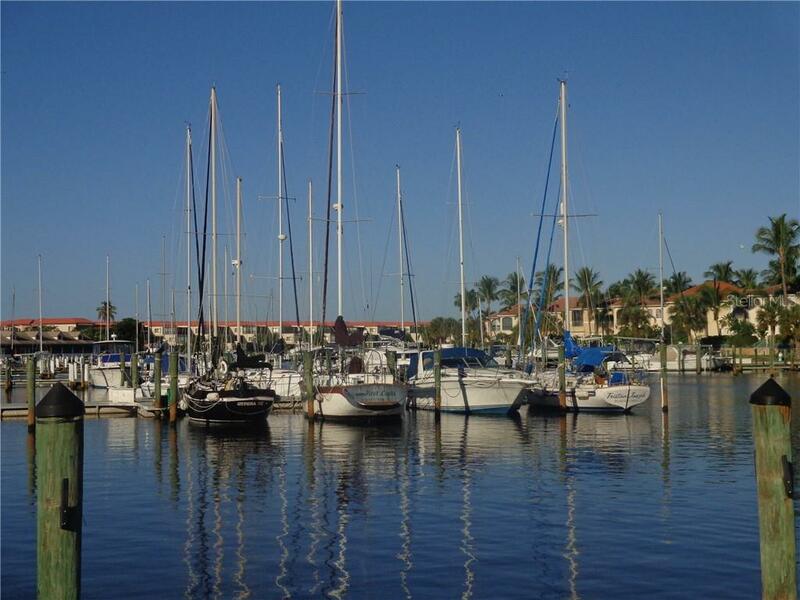 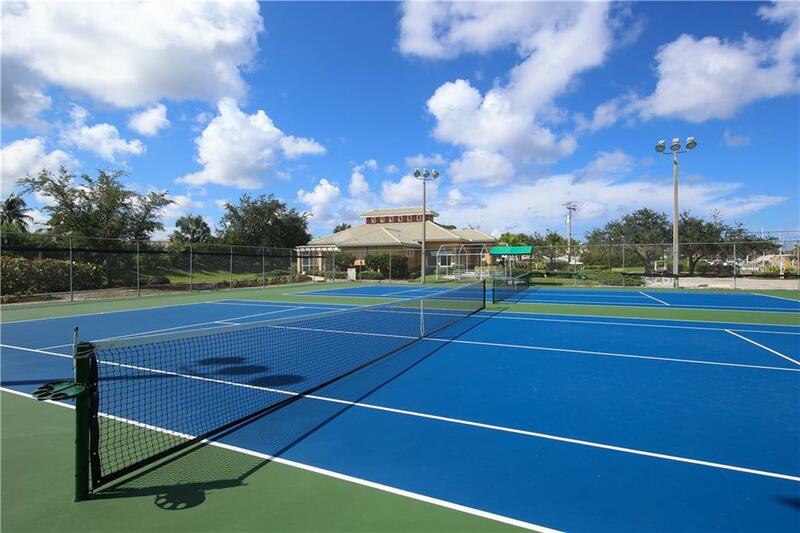 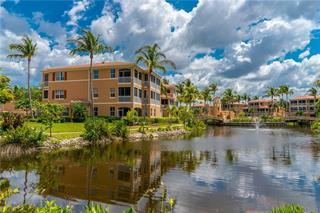 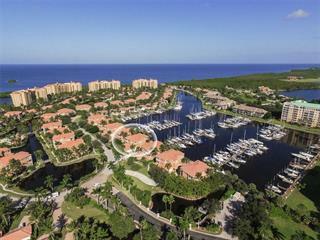 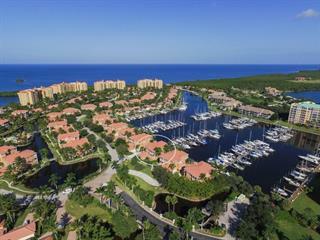 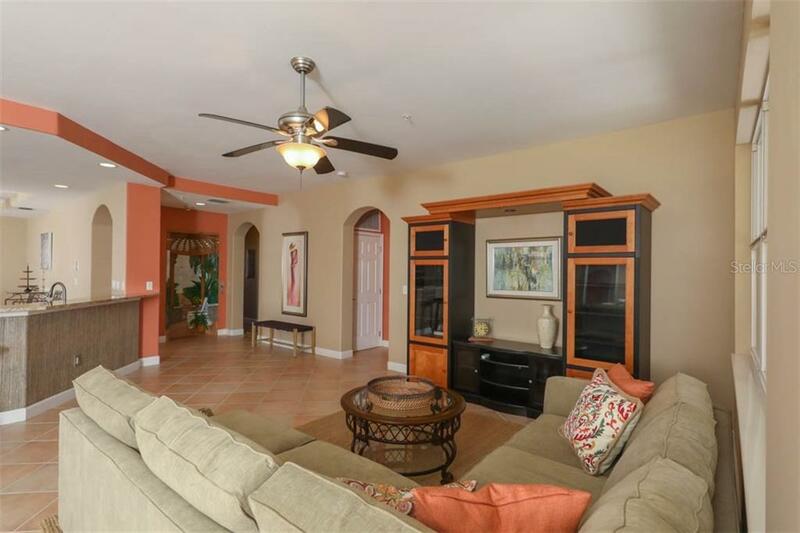 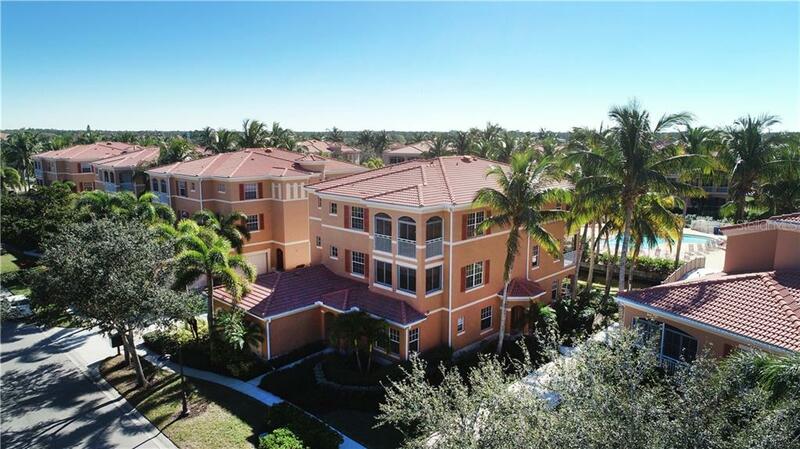 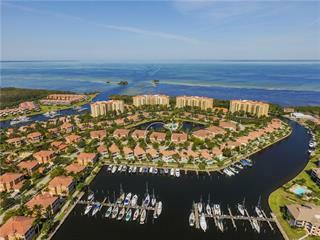 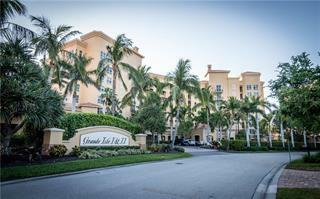 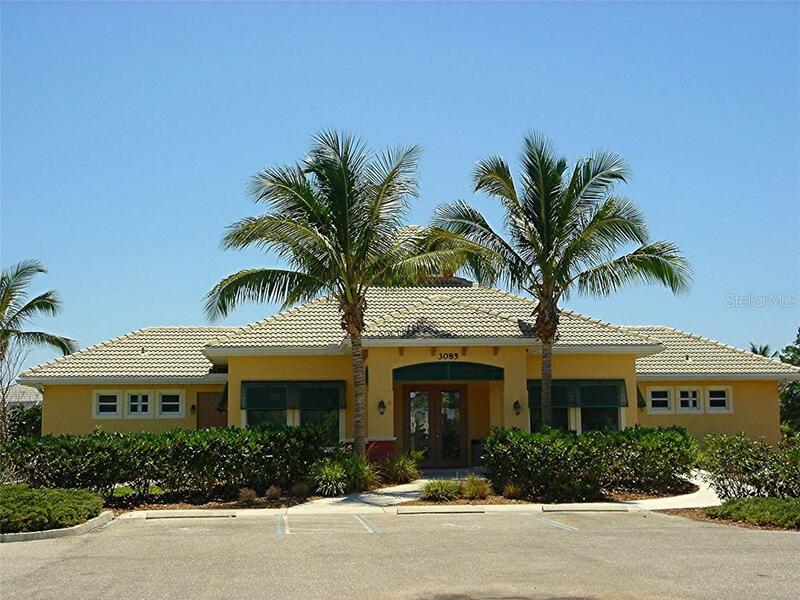 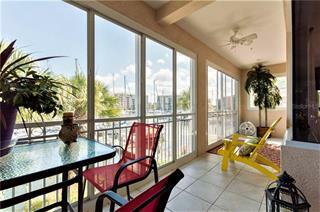 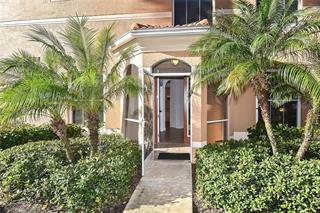 This second floor is situated on a privately gated peninsula situated between two marina basins. 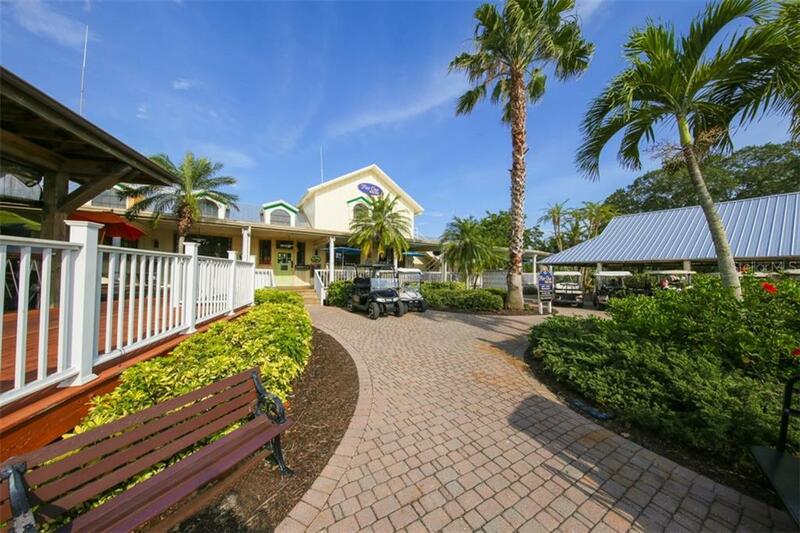 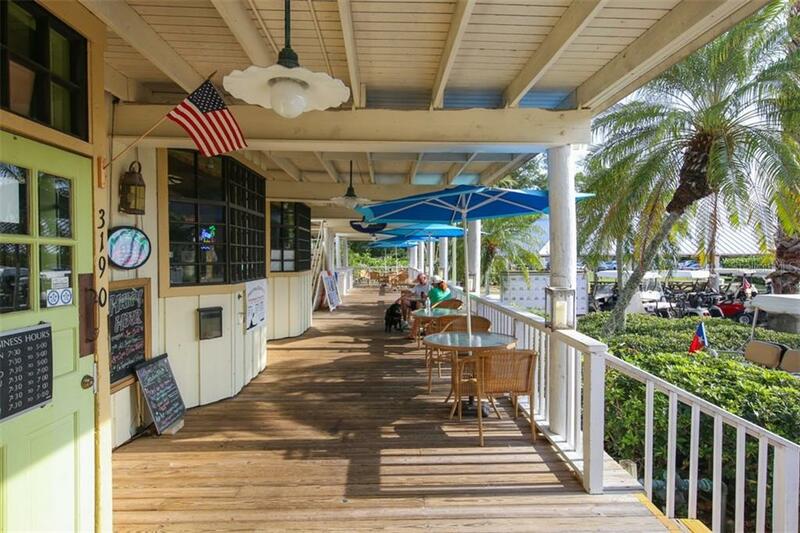 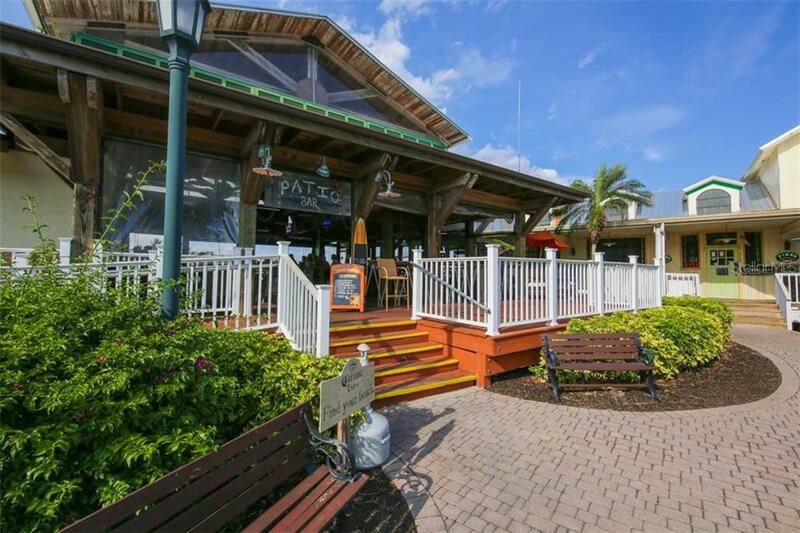 After a day of boating, enjoy an evening stroll along the waterfront esplanade and a meal at the Cass Cay!